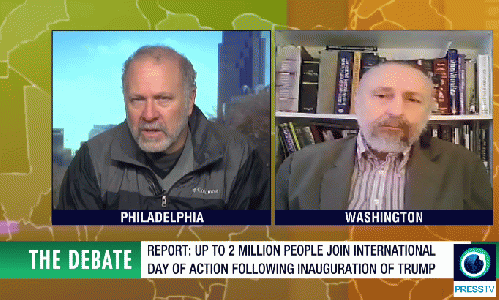 I literally sprinted from the Philly Women's March (crowd estimated at 50,000 according to Wikipedia) to show up at the studio to participate in a debate on the post inauguration protests with James Jatras a former US Senate foreign policy analyst from Washington, on PressTV. 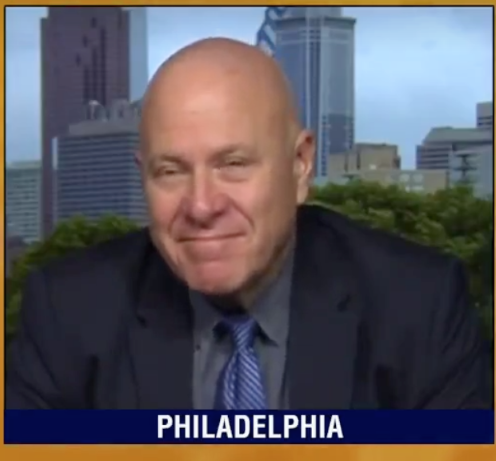 "I'm really honored to be appearing with Rob Kall today. I think that OpEdNews is one of the really bold and courageous progressive voices in the country today, and I say that as a conservative. I really commend him for his work.